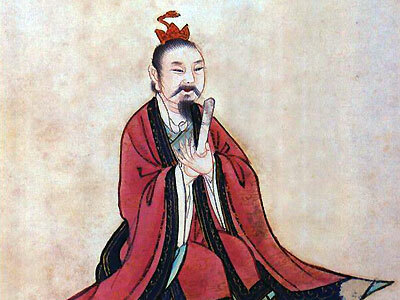 Zhuangzi is the second great figure of the early Taoist school which is known as the “philosophy o Lao Zi and Zhuang” in the history of Chinese Culture. The book bears his name, is probably a combination of his own essays and those of his disciples and imitators. It is one of the most witty and imaginative works of all Chinese literature. Like Laozi, it does not depend upon methodical arguments for its effect, but upon the use of parable and allegory, paradox and fanciful imagination. Zhuang Zi shares with Lao Zi the central concept of Tao as the principle underlying and governing all existence. However, he is not so much concerned with the Tao as a guide to life but as a way to transcend human life, which has a supreme value in itself. A philosophy of acceptance, Lao Zi teaches the Way of the world and the virtues of survival: humility, gentleness and nonstriving. Zhuang Zi, on the other hand, is indifferent to human society. He seeks neither to reform things nor to keep them as they are, but to rise above them. Zhuang Zi ‘s central concern may be described as the finding of absolute happiness of transcending the distinction between one's self and the universe by perfect union with the Tao.